Are you ready for Mardi Gras? I have a great give away for you. Party Cup Express has graciously given me several products to give away this Mardi Gras season. Whether you live down South where parades are prevalent or you love to entertain, the products from Party Cup Express will help you be the host/hostess with the most/mostest. I have been ordering party products such as napkins, cups, and plates from Party Cup Express ever since I’ve been back in New Orleans. 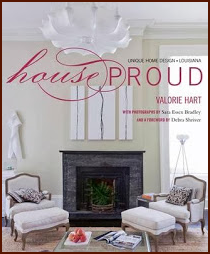 Living on the parade route, the products are the perfection addition to any Mardi Gras soiree. All of the above will be yours if you are the winner of the give away. The give away starts now and the winner will be selected on Sunday, February 16 at 9:00 AM Central time. Yes! You will have your items in time for Mardi Gras celebrating. Party Cup Express has lots of other seasonal items and Saints merchandise, Summertime crabs and crawfish, Baby Shower products, and a lot more. You can shop Party Cup Express on the website (click HERE) or by visiting the shop at 121 Industrial Avenue near Oschner Main Campus in Jefferson, LA. I hope you are as excited about this give away as I am. “Party Cup Express is a division of Giacona Container Corporation in New Orleans -a company best known locally as the originator of the Mardi Gras throw cups. We produce a variety of custom drinkware for corporations, zoos, amusement parks, stadiums, bars and restaurant chains around the world. Thanks to Gina and Kelsey at Party Cup Express. Most of you who know me know that I cannot go to any “cool” shop without supporting the business. Look what I picked up yesterday. Party Cup Express Give Away, y’all! How fun! I love Mardi Gras! There are so many neat products on their web site. I like the crown tumblers. Of course, I'm a follower ~ all ways! Mardi Gras is finally coming to us in Huntsville, Alabama on March 1st! We wasted no time forming our Krewe of 28 super excited and fun people. We would put all of the fantastic Mardi Gras goodies from Party Cup Express to great use on parade day! Thanks for the opportunity! Thanks for the invite Ron. 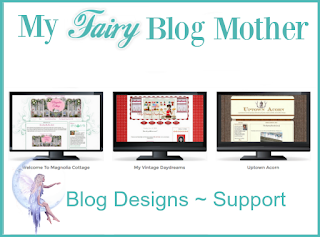 As you know, I adore your blog and follow along. Hate to say though...I am one of those lone hold outs...don't have a FB account!! Loving the products. Will definitely have to bookmark them! Love the Gripper Sipper. We are riding in Ambrosia this year. That would be perfect! Love the geaux cup from Party Cup Express-will def have to stop in next weekend when I am in town. 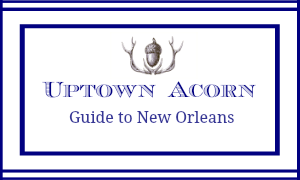 Have liked both Uptown Acrona nd Party Cup express on fb, and following your blog. Love the mardi gras collection-perfect for this ga. The witches hat bottle topper is something else I need for Haloween! Endymion ... can I say anymore! With living on the parade route I will, no doubt, have plenty of use for such a festive themed give away from Party Cup Express. I liked what I saw when I checked out their website and will be visiting them soon. Ron, Liked PCE and Uptown Acorn. I have always loved party cups and lately they have been my gift of choice. Would happily send some of the Mardi Gras cups to my out of state friends who don't have the fortune of being here for Carnival Time. Also, I can now thank you for directing me to their website. Ordered crab cups and crab flour sacks for Grand Isle! Thanks Ron for the offer. You are such a wonderful ambassador for New Orleans and Louisiana. Liked you both. Party Cup Express has some great things. But, you can't have enough coozies or cocktail napkins!!!!!! I'm ordering a couple of sets or each. 'Cuz, I'm Irish, I have to have supplies for St Patrick's Day (very very big in the Detroit area). I'll be styling with Mardi Gras party supplies like no one else in Michigan on Fat Tuesday. I follow you on Bloglovin. What a cool store. I love those crown wine corks and the crabs! Great giveaway! Oh! This is all the incentive I need to start planning that party! I am not on Facebook, so I am unable to "like" you or Party Cup Express. :-( Minus two entries. :-( I do receive notice of your postings on my Blogger Dashboard, so I'm a follower! This is such a Wonderful Giveaway!!! I Love the hand painted Crab Boil Apron and the Flour Sack Towels. I am planning to have a Mardi Gras Party, and I would use the Beautiful Products when I have it!!! Ron, Thanks for the great giveaway. I follow you several ways including GFC and I like your Facebook page. The PCE site is great. I do love all the neat bottle stoppers especially the crowns. I might be ordering some of the St. Pat's Day supplies. You know Savh and St. Pats. Thanks again to you and PCE for your generosity. Put me in the drawing and I will assure you the fun items will be used at my Texas Mardi Gras Party. What a great giveaway! This is such a cute set, and I would LOVE to use it as we're enjoying Mardi Gras! Also--PCE looks adorable! I'll have to check them out ASAP. What a fun giveaway!! I LIKED Party Cup Express on FB and as you know I have LIKED you and been a follower. Being from Annapolis, I love the Blue Crab collection-all of it! This is just the perfect give-a-way for you Ron! I want it all. I got to have it all. What a great giveaway, Ron! I 'like' Party Cup Express and The Uptown Acorn on Facebook! And of course, I follow you on Google Friend Connect. I would love to win any of these items and use them for my Mardi Gras bash! How fun! I love getting a taste of Mardi Gras and getting my New Orleans fix through your gorgeous blog! Thanks so much for sharing a bit of life down there. I would definitely use these things at our annual Mardi Gras party. My girls (now 9, 7 and 5) ask every year when we're going to make a trip to the real Mardi Gras but for now, we do our best to celebrate here in the suburbs of Philadelphia. So generous of you Ron, love the cups!! I know that you put them to good use!!! My favorite are the crawfish and crabs, I would use them in Grand Isle and hopefully get you out of the sun for a cocktail on the deck!! Love all the fun stuff from Party Cup Express! My kids would love to use those gripper sipper's for school! OK I have done all of the above!!! Would love to use this for the parades in my hometown..THIBODAUX!!!!! Party down!!!!! Eeeeeek I hope I win!!! OK I have done all of the above! Would LOVE to use this at the parades in my hometown...THIBODAUX !!! Party down!! Eeeeeeeek I hope I win!!!! I've liked Party Cup Express on the Facebook. 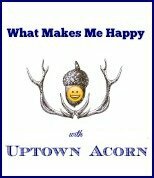 So happy to like The Uptown Acorn on the Facebook! 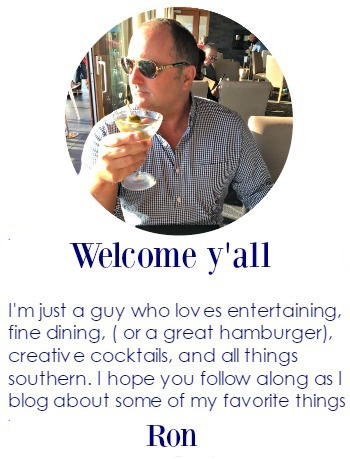 So excited to add you to my Bloglovin list! I'm already planning to order some customized cups for the annual Summer weekend I spend with my 'forever friends' from high school. 31 years after graduation and still getting together for twice a year weekend long slumber parties! I would put this adorable package to good use at our little Mardi Gras here in Lake Charles. What a precious give-away! I belong to a little lake community....and we are always looking for an excuse to have a party! We have not had a Madri gras party. So pick me so we can! I like party cup express on Facebook. 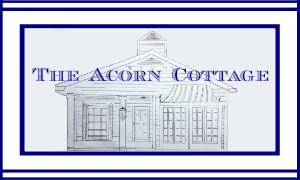 I liked uptown acorn on Facebook. Thanks for the opportunity. I'm following you through bloglovin. If I win I'd use it for a Madri GRAS party. I'm on my way to new Orleans this week and I'm going to do my best to make it to your shop. Thanks for the opportunity.